UPDATE: This post was my humorous look at non-examples of close reading for April Fools Day. 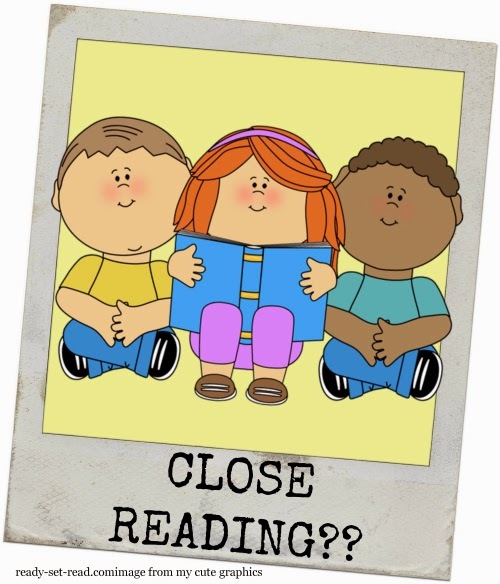 click on the link to check out my real post on close reading. You'll find my favorite resources and tips. Close reading is an important part of any stellar reading program. Lately the term "close reading" has gotten a lot of buzz. 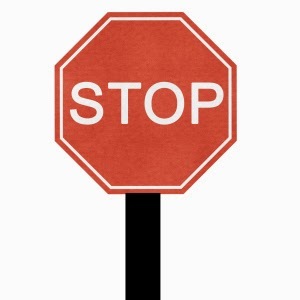 It all started when the common core state standards were released and teachers, publishers, test producers zeroed in on this standard, "Read closely to determine what the text says explicitly and to make logical inferences from it; cite specific textual evidence when writing or speaking to support conclusions drawn from the text." This is clearly an important topic. It's the first reading anchor standard and judging by the number of pinterest boards dedicated to "close reading", these two words carry some weight!! There are differing views on what close reading actually means. I'm happy to announce today that I have discovered a method for teaching close reading that will work with every student with 100% success. We all know the old saying, "He's got his nose stuck in a book." This is likely the secret to successful reading. Try to hold it as close as possible-- even so close that the letters turn squiggly and blurry. Students can then closely analyze the markings on the page! Pack as many students into a small classroom as possible and let them read closely. Many school districts are already ahead of the curve on this trend-- filling classrooms to max capacity. Kudos to you on your close reading efforts. I'm sure they'll pay off. 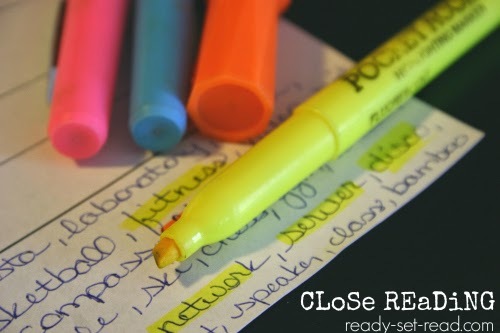 Highlighters are the magic pill in close reading. If your students highlight the text, they are reading closely. You don't even need a lesson plan, just highlighters! Make sure teachers create a system for highlighting that involves circling, straight lines, wavy lines, check marks and stars. This system should remain a mystery to the students as that increases the rigor. 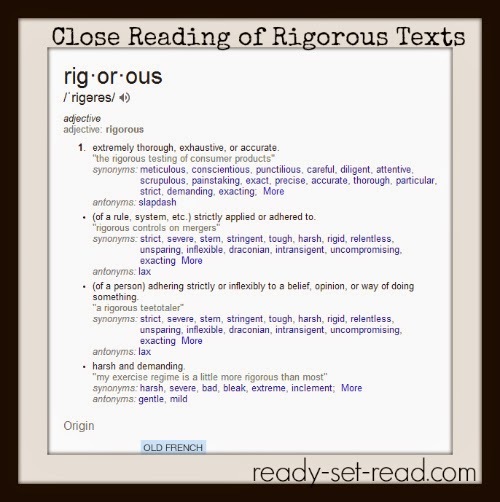 Speaking of rigor, choose texts that are completely inaccessible to the students. These texts should be at least 3 years above a child's frustrational reading level. All students should read the same text and individual levels and interests should never be considered. 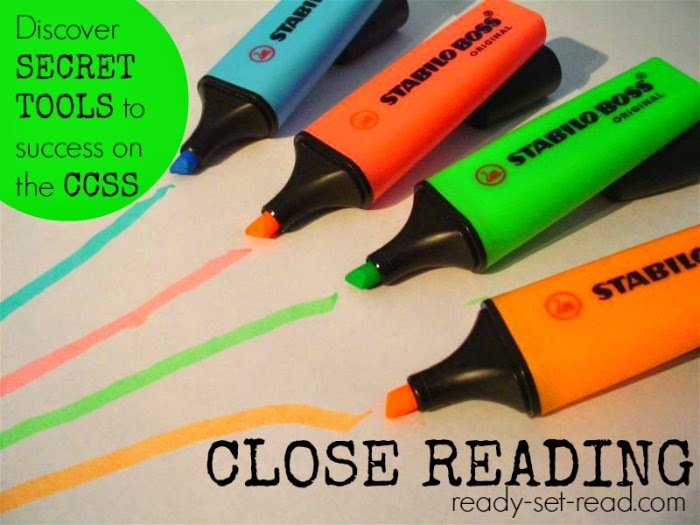 As long as you use the secrets of close reading, your students will instantly show success on these levels. No scaffolding required. Create a strange routine for re-reading boring texts. Have the students read each small paragraph nearly 500 times. Read 100 times in average speed. Read 100 times in slow mo. Read 100 times while using the magic of highlighters. Read 100 times on a tablet. Read 99 times in a British accent. Follow the same routine every single day for an entire school year. Keep it as boring as possible and don't let students connect with the text on a personal level! Buff up the Text Dependent Questions. Ask a text dependent question every 1.5 seconds. Make sure to interrupt the flow of the story. Consider stopping students between each syllable of text. This will surely increase comprehension as students analyze text. Last but not least, Happy April Fools Day! I hope you have caught on to the sarcastic joking nature of this post. Come back tomorrow and I'll share what I've really been learning about close reading. I'm certainly not an expert, but I've found some great resources to help me navigate these choppy waters. Oh, and if you use highlighters, rereading strategies, text dependent questions, etc, I am not judging your teaching. I've used all of the above. I am encouraging all of us to really look at how we teach kids to read and comprehend text. I'm hoping that as professionals we can create a conversation in order to discover the best practices in teaching reading. I thought April Fools Day would be a fun day to share some of the outrageous resources that many publishers have created that are "common core aligned" and support "close reading". Feel free to chime in with your thoughts in the comments or on facebook. Thanks Carolyn. I'm going to quote your comment in my next post because you are totally right!